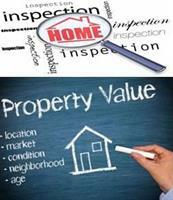 ($1,000.00 Value) Free Pre List Appraisal & home inspection! we want to guarantee you 2 things: #1 that we are selling your home for the maximum value validated by your free appraisal. #2 that your home is in maximum marketing condition with your free pre list home inspection.